It was our official Spring/Summer 15 launch last week (read post) and I wanted to share with you the outfit details of what I wore that day. 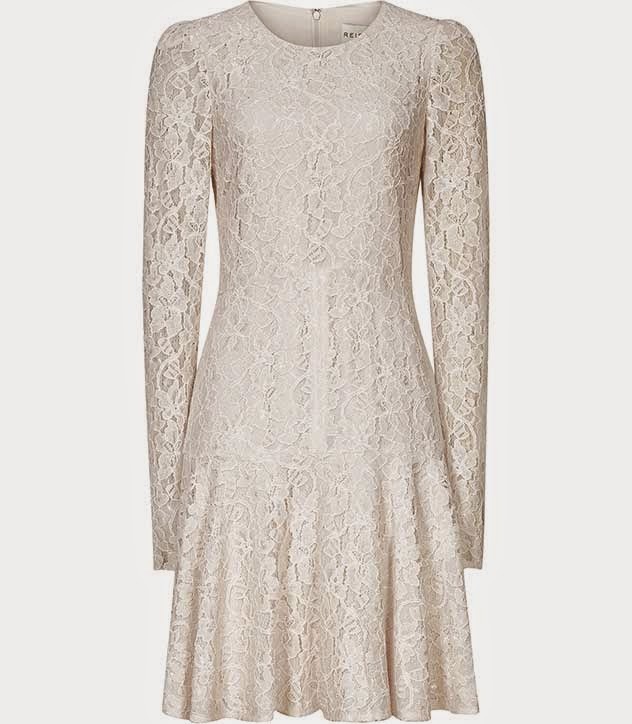 My look of the day was this beautiful, sheer lace sleeve dress from Reiss' 1971 range, which goes by the name of Rosalin. I really like the way it gently nips in at the waist and kicks out at the skirt for a feminine and flirty look. It features a scoop neck, so perfect for a statement necklace but I preferred to toughen it up with some contrasting black booties and clutch. These cut-out boots are from Aldo and believe it or not, are really comfortable. I was in these bad boys for 6-hours (with a 2-hour break in between) and walked away blister free. I love the suede and the blackness of the fabric and the cut out teardrops makes them look a little more dainty. I’m clutching a black beaded Cindy bag, also from Reiss – this is not my bag btw I just borrowed it for the shoot. It’s a pretty shimmering statement and I like the detachable chain handle – not sure if it is worth a purchase for me but would be great piece if you need to build up on your collection of basic clutches. It’ll go with anything. Last but not least I picked up this really cool ear-cuff from a store I discovered the other day in The Dubai Mall called Lovisa. It’s amazing. It’s a little hidden gem tucked away on the top floor and only sells accessories… it’s also ridiculously cheap. They had so many quirky designs and considering it is fashion jewellery, wasn’t too tacky. A little bit of tack is okay but not too much hey *wink. I also picked up some gold bracelet tattoo transfers, which I’m really feeling at the moment. I’ve been wearing them with maxi’s and denim shorts recently to add a little bit of tribal to my look!